weeks one spring. 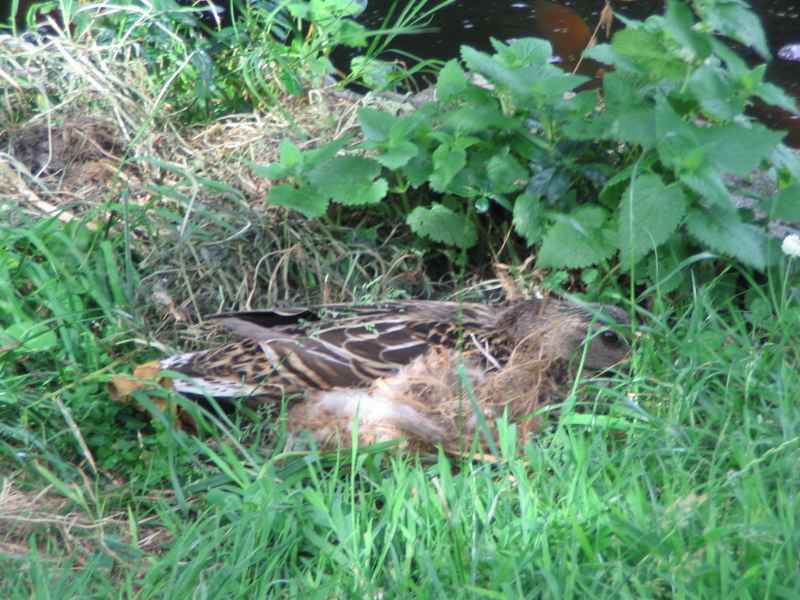 There are also photos of the first ever duck nest in 2005, from which a fox stole all the eggs (captured on CCTV). 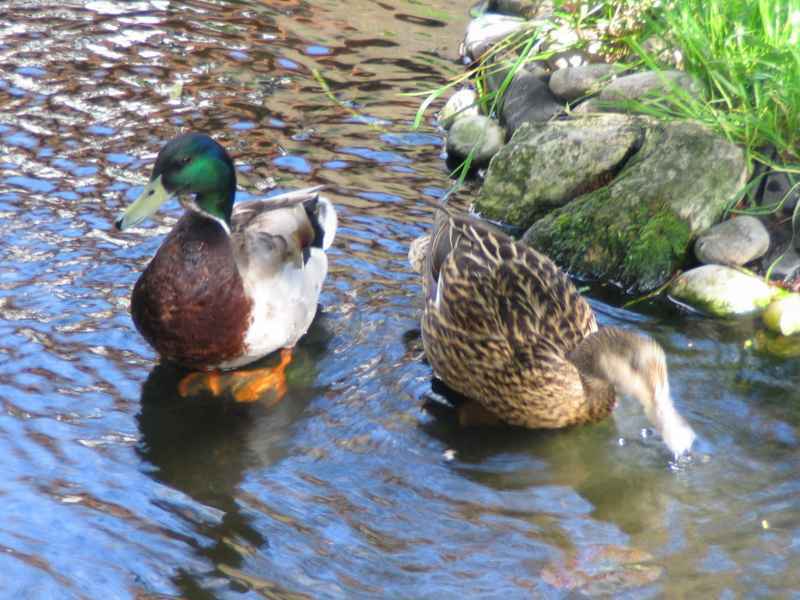 It's quite probably the same duck that nested again in 2007, 2008 and 2009. 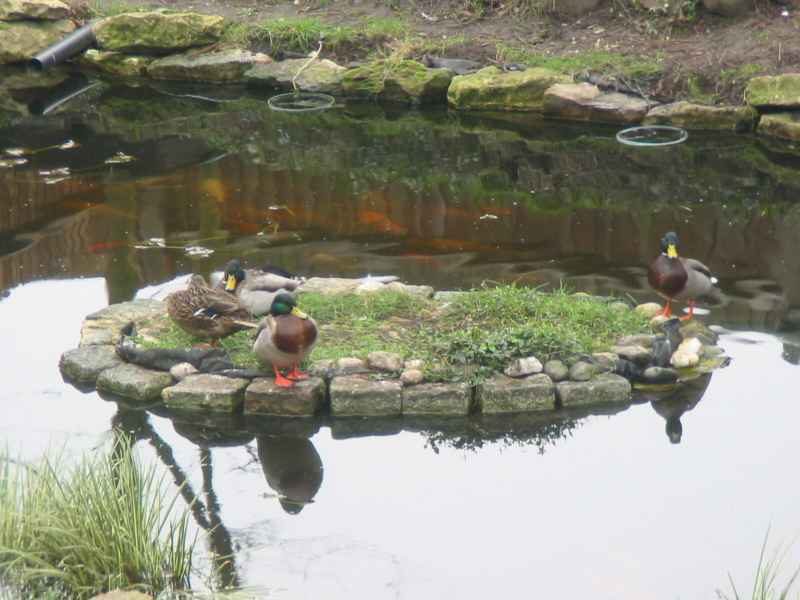 This photo is from 1999, in the old pond before the island was built, three male and one female mallards. 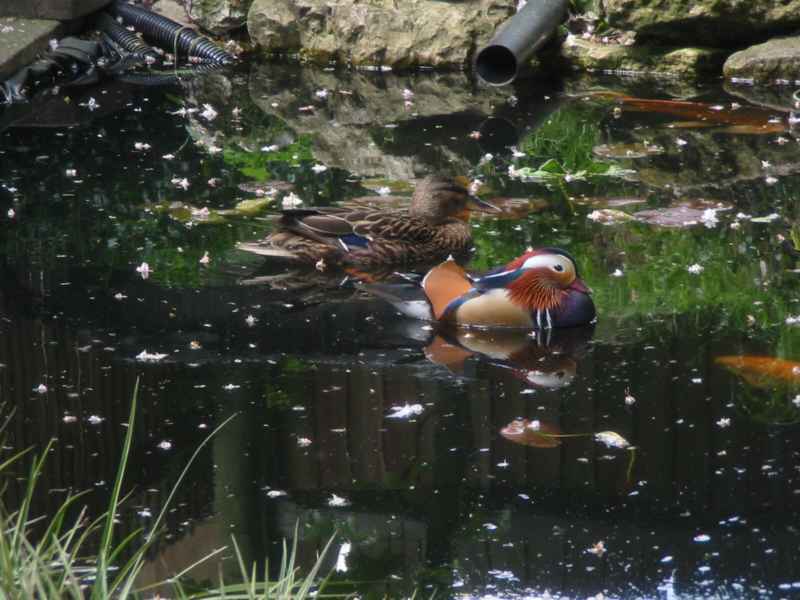 and central London, this one probably saw the pond flying over. 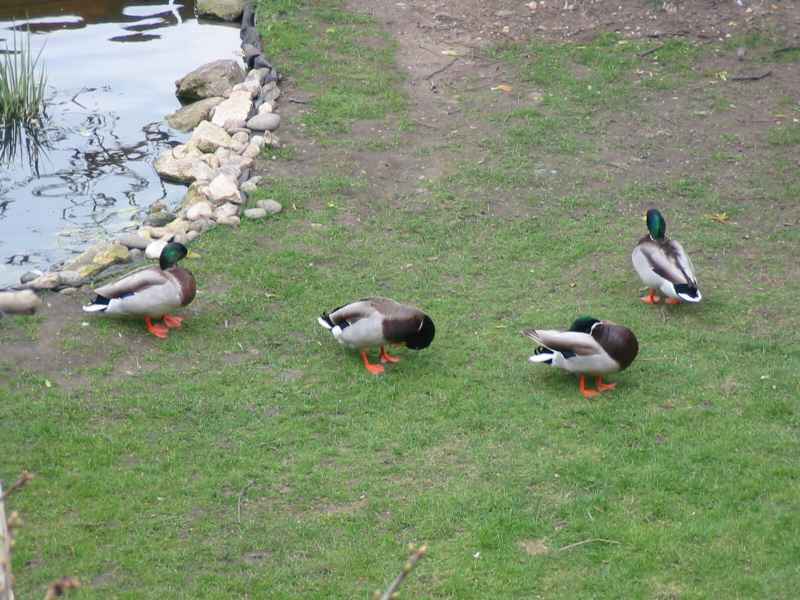 Four mallards sizing each other up. 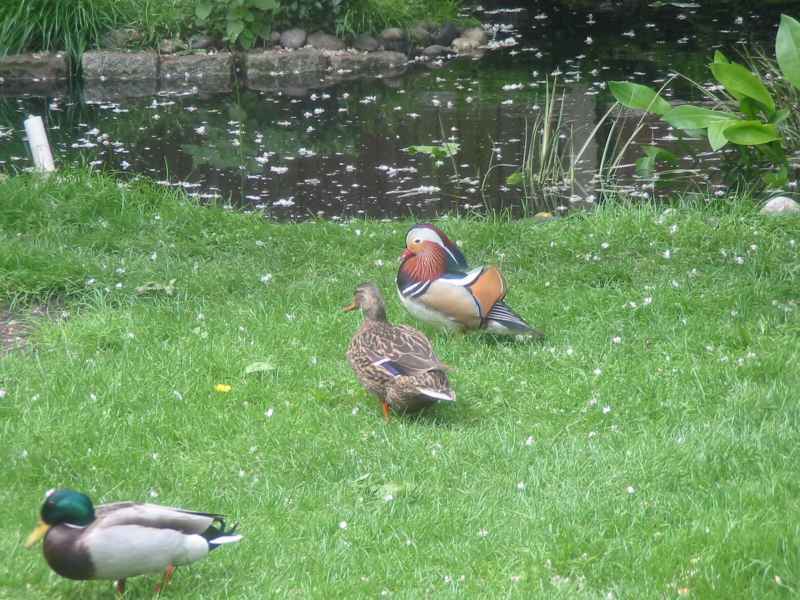 The mandarin duck was a bully, and became the mallard's partner, mating with her and chasing her normal mate out of the pond. But there were no eggs, probably incompatible. Follow my leader around the lawn. 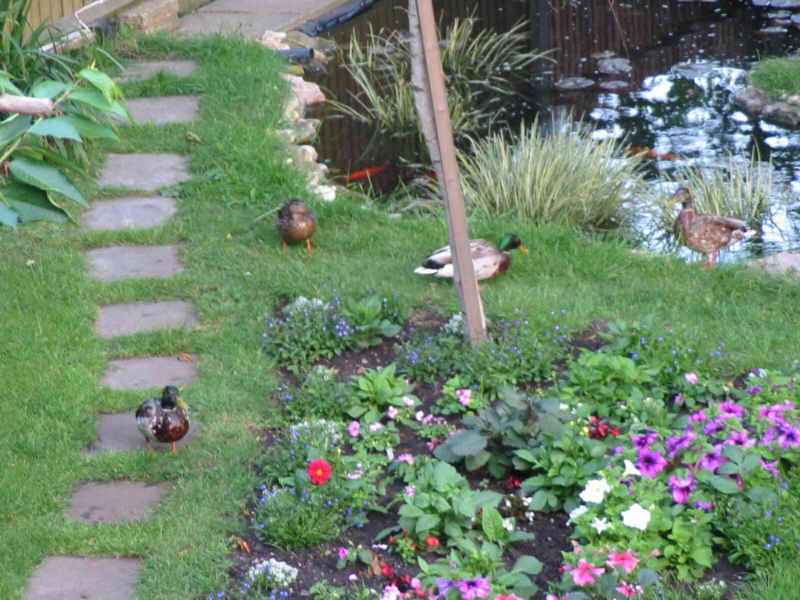 They don't mind the plank. 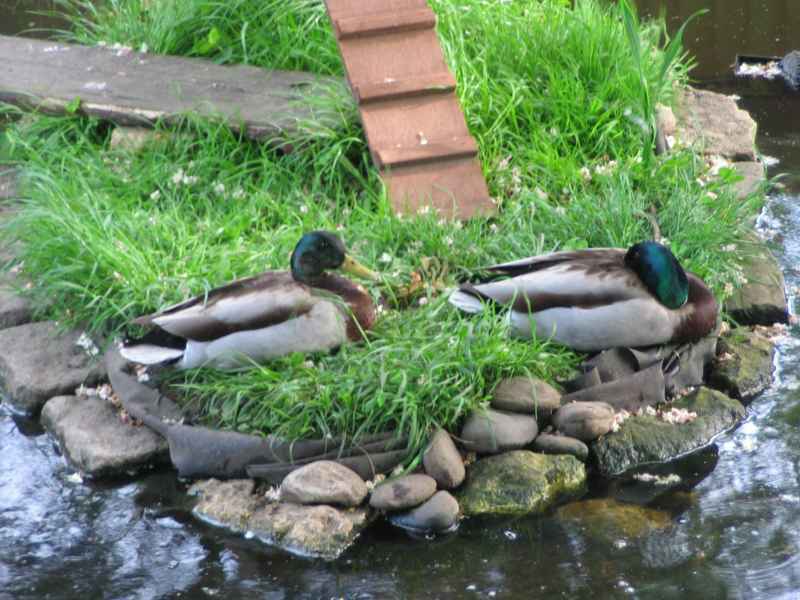 The mallard sitting on her first nest on the island, in June 2005. 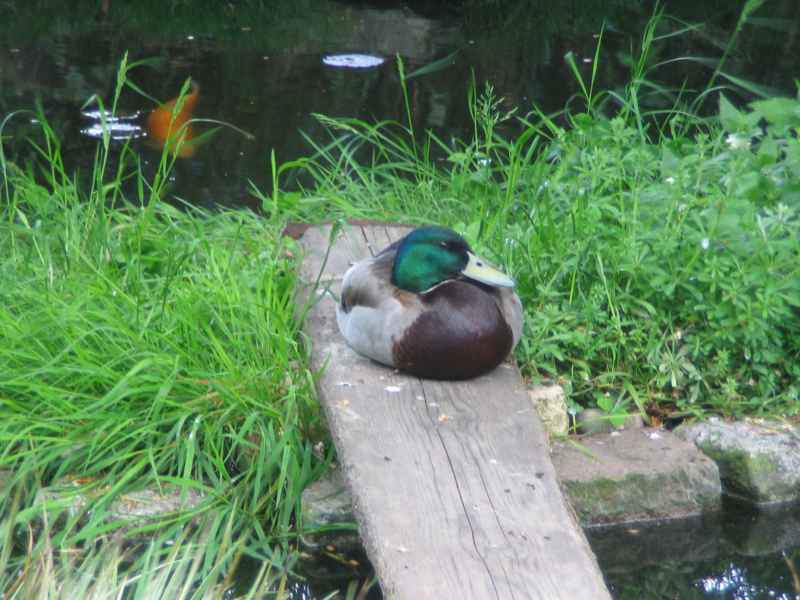 It's quite probably the same duck that nested again in 2007, 2008 and 2009. 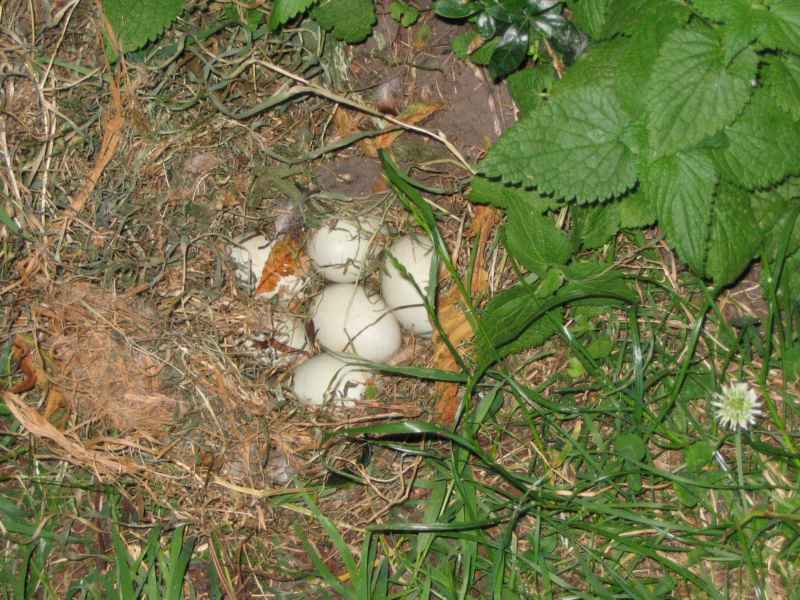 Several eggs in the 2005 nest. 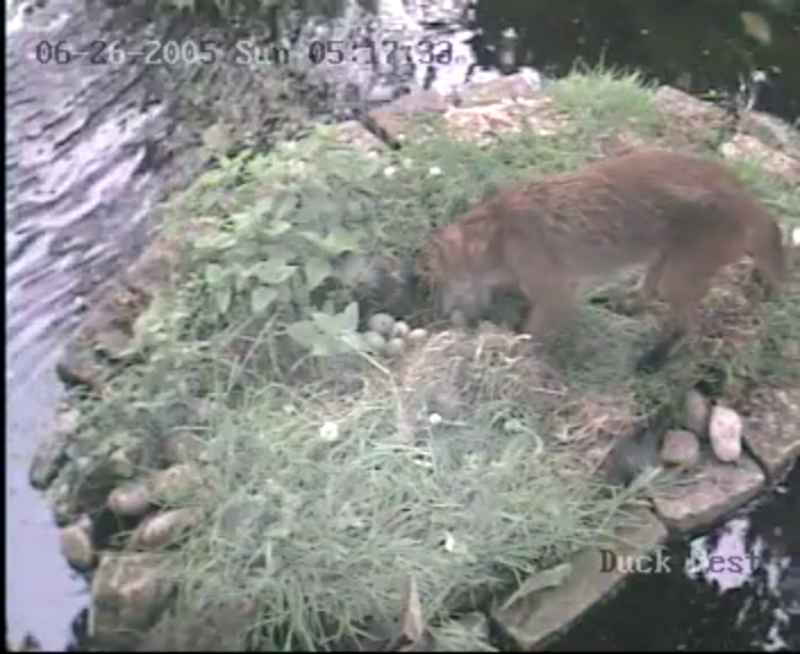 one egg at a time, jumping the fence and presumably taking them back to feed her cubs. 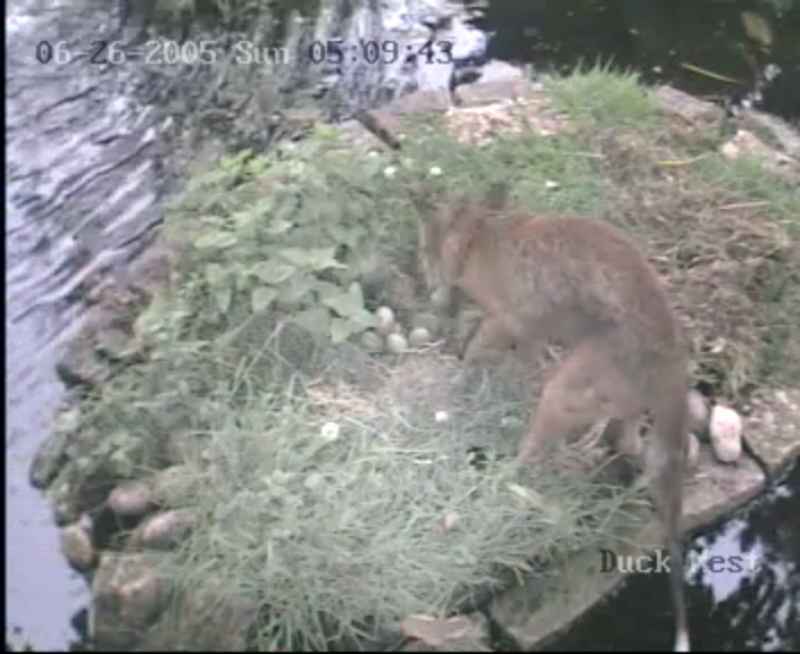 The fox taking another egg. 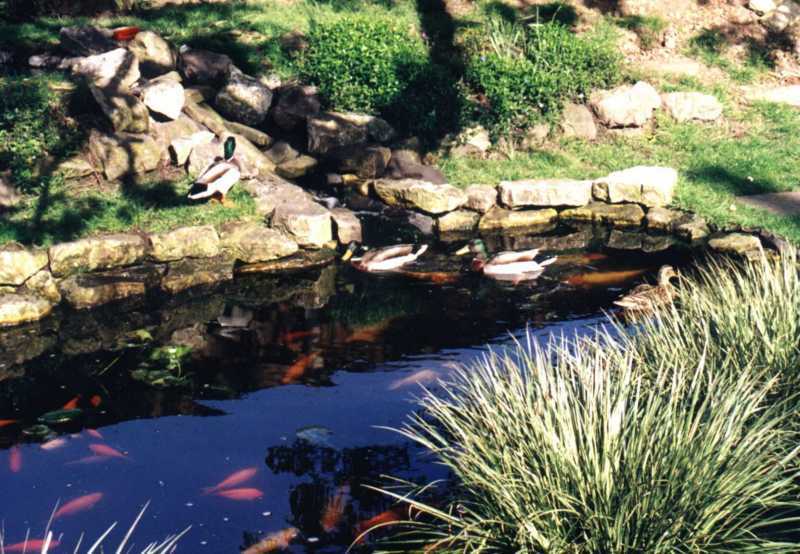 The ducks just watched from the water. late for them. The male has moulted most of his grey feathers. 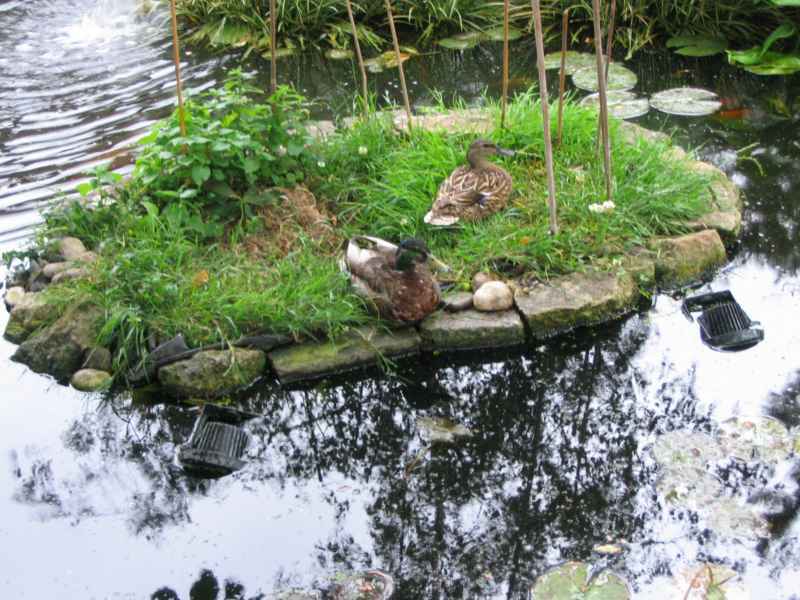 In 2006 I'd added a duck nesting box to the island, the steps to which can be seen here, but there was no nest that year. 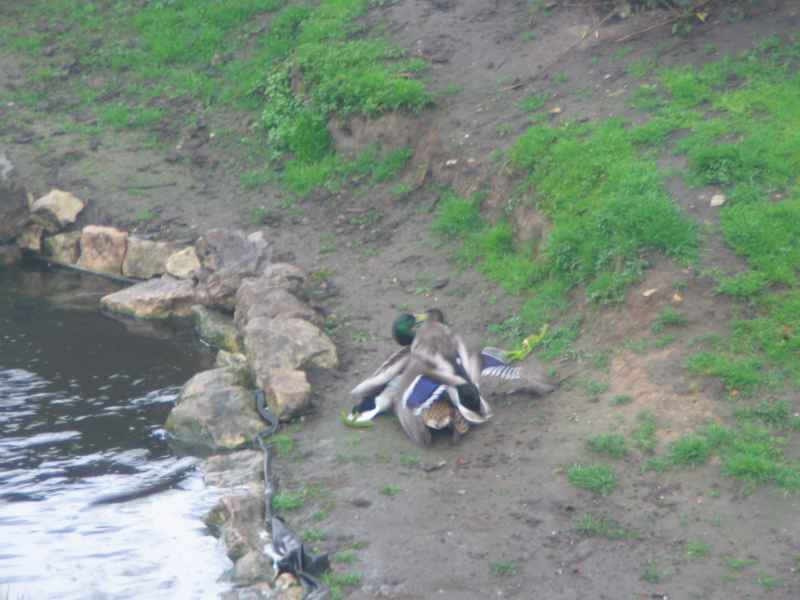 Males always get on well when there are no females around.